Day 17 - Your Cinderella Hand. 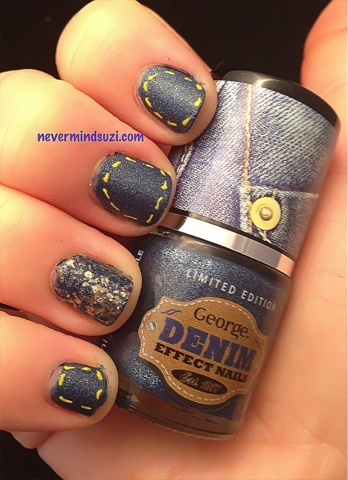 This mani couldn't have been planned at a worse time as my pinkie nail snapped right off. 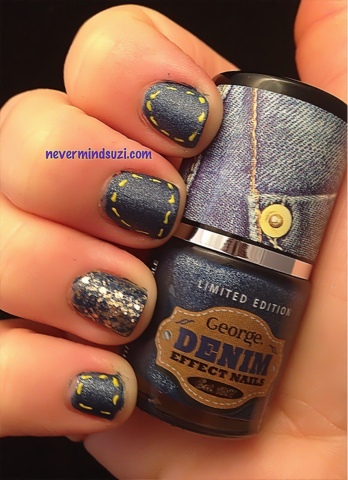 I went with it though using George (by Asda) Blue Denim Effect Nails and using a nail art pen I added some yellow stitching details. I also used H&M - New Moon for a bit of glitz on my accent nail.